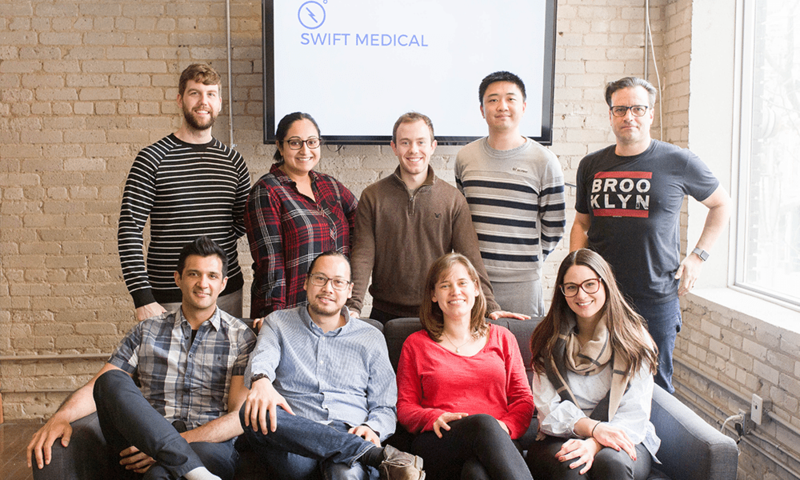 In our continuing Toronto’s Top Startup Jobs series—profiles of some of the top startups in Toronto on the hunt for new talent—we feature Swift Medical, a fast-growing company that is currently looking to fill roles in data science, development, engineering and more. Want to join a great team? Advance your career? Read on! 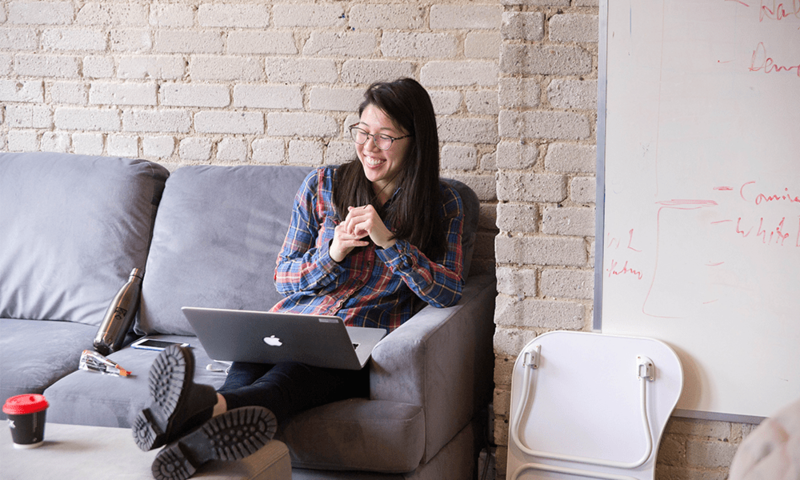 Tucked away on the second floor of a building on Toronto’s Queen Street West, the Swift Medical office looks cozy and welcoming, with couches for relaxing and a lounge area for eating lunch with the team. But if you look a bit closer, you’ll see something a bit out of the ordinary: mixed in with the laptops are demonstration mannequins that help the team test its cutting-edge technology to transform wound care. Having recently secured an $11.6-million funding round, and with a product in use by wound care industry leaders, Swift is poised for incredible growth—and you could be part of it. In the United States alone, chronic wounds affect 8.2 million patients. Swift has pioneered the world’s most advanced and comprehensive digital wound care solution, allowing for highly precise wound and skin assessment simply by using the camera on any smartphone. Swift’s smartphone-ready software propels wound care into the future by simply scanning the wound and automatically tracking the subsequent data—think of Bones with his tricorder device on the original Star Trek. Here’s how it works: a nurse or doctor hovers a smartphone over a patient’s wound. Swift’s app captures information about the wound, including size, depth and condition. This information can then be accessed through Swift’s web-based dashboard. Traditionally, wound measurement is an entirely analog process, relying on physical contact and rulers for assessment. For example, wound depth is typically measured by inserting a cotton swab into the wound, which is not only painful, but can lead to infection or contamination. The resulting data must be manually recorded and entered into a system, so it can be tracked. For patients, Swift’s software results in decreased discomfort, better tracking of the healing process and increased engagement with their progress. For clinicians, the software enables them to provide better care for their patients, reducing assessment errors and making more informed decisions. As for healthcare administrators, Swift allows them to automate and streamline data entry and tracking, increase cost-effectiveness and make more efficient decisions. 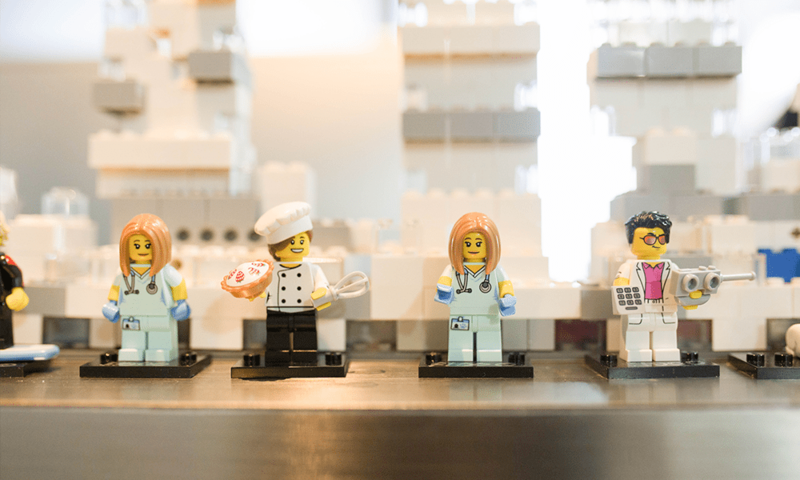 Healthcare can be one of the most meaningful sectors to work in, which is part of why many Swift employees are so excited about what they do. They’re also keen to use cutting-edge technologies like artificial intelligence to help move the industry forward. “Being in a company where you can push healthcare and bring it up to par is exciting,” explains Revital Manor, a senior data scientist at Swift. Employees at Swift use innovative technology while working with some of North America’s largest healthcare providers, assisting in healing over 10,000 patients a month. Now the company is looking ahead to the next phase of its technology by building out its machine-learning and machine-vision teams. And you could be part of it. Many early-stage startups look to hire “Swiss Army knife” employees: people with multidisciplinary skills who can cover multiple roles. As Swift Medical expands, Prashant is excited about the opportunity to grow the team with people who have specialized skill sets. Coming from an academic background, Revital loves the pace at Swift. “You learn new things every day and it’s just a very dynamic and changing environment,” she says. 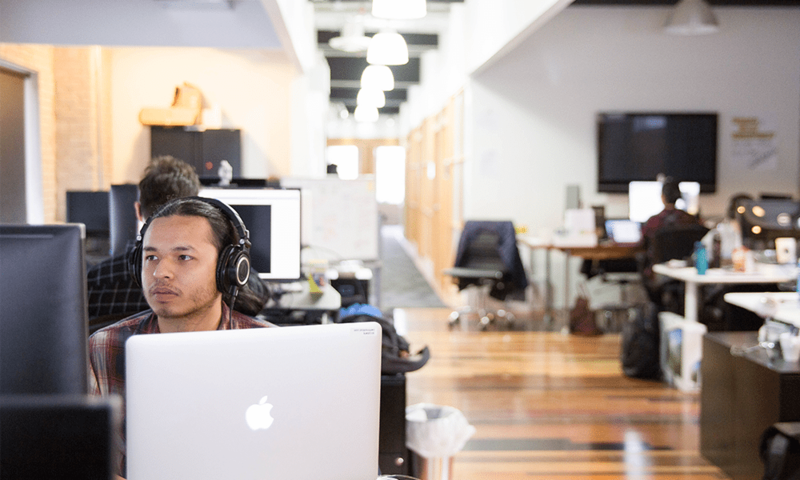 In this fast-paced environment, diverse perspectives and collaboration are key. Revital says the team’s mix of people from different academic, professional and cultural backgrounds is the recipe for success. “I go home every day very, very tired—because I’m new here and it’s so dynamic—but I’m so happy,” she says. When it comes to product, Cathy loves the access she has to different insights and levels of thinking. “You could start with one idea and you think it’s fantastic and you’re set on it, and then you discuss it with other people and you can see how it can be even better,” she explains. In the end, it leads to a better product, more customer success and a happier team. Swift’s work may not be for the faint of heart—or weak of stomach. Cathy recounts a memorable lunch-and-learn session that featured a wound care presentation (complete with visuals) from Swift’s chief medical officer, a dermatology resident. However, most team members quickly become accustomed to the subject matter, including the wound demonstration mannequins.